As the number of breweries in Australia continues to rise rapidly, it's not just competition for taps and shelf space that is intensifying. A shortage of experienced brewers is creating a headache for many of the country's smaller operations too. Stories of brewery owners "tapping up" employees of other businesses abound, while the issue of churn is a costly one – not just in terms of hiring and training new staff but also the attendant threat to quality and consistency that comes with turnover. "I think it's been an issue for at least 18 months,” says Glenn Harrison, who has been working in the local beer industry for more than a decade, most recently as head brewer at Temple in Brunswick East, where he's been through the hiring process multiple times. Anyone advertising for a trainee brewer with little or no prior experience is likely to find their email inbox overflowing within 24 hours; if you're looking for someone with miles on the clock, however, the pool of available talent is increasingly shallow. "A brewer with three or four years’ experience is worth a lot more now than five to ten years ago,” says Glenn, who is creating another vacancy when he moves on from Temple in a few weeks. The number of roles to be filled has never been greater, meaning many experienced brewers have already secured plum head brewer positions or joined one of the larger breweries offering greater opportunity for career development. Others have launched their own brewing business or, in some cases, left the industry after deciding making beer isn't as glamorous as they initially imagined. What's more, says Glenn: "There is the issue of junior and inexperienced brewers being promoted or offered roles for which they've not yet learnt the skills required to conduct the job. "Although you can't begrudge someone moving to further their career, breweries need to make sure inexperienced brewers are given the required training, not just to make sure the quality of the product is adhered to but, more importantly, to ensure the brewer's safety and that of people around them isn't jeopardised just so a brewery can fill a role and maintain their production schedule. "I'm concerned we may see a serious incident as a result of people being appointed to roles they're not fully equipped to handle." Independent Brewers Association (IBA) executive officer Chris McNamara points to another cause of the shortage: "When a brewery reaches a certain level, the entrepreneur that started it realises their time could be better spent, or realises there's better brewers out there, so they step away and bring a professional brewer in." He believes the situation will continue to "get worse in the short term" as the industry continues to expand, adding: "We need to develop that career path for people that don't want to start their own brewery but are more than happy going from assistant brewer to head brewer or production manager, as has traditionally been the way." The skills shortage led Stone & Wood to launch its annual brewer intake in 2015. This sees the Northern Rivers brewery take on a growing number of brewers each year and train them on the job and it's a path down which Gage Roads has headed too. "For quite a period of time, we had quite a lot of turnover," says head brewer and chief operating officer Aaron Heary (pictured above). He describes Gage Roads as big enough to give a brewer experience of all aspects of a production brewery, from filtration and quality to packaging and logistics, yet small enough that they needn't get stuck in one role for a number of years. As a result, he says: "People were coming in and using that as a launching pad for their careers." While he's happy to see former colleagues thriving in new roles, he's also happy he now leads a stable team and says it "comes down to the culture and the opportunity you create inside your business. "If [staff] aren't looked after, they'll go to something better. [Owners] need to look at the value of [their brewers] and that they're more than just someone producing wort and beer." At Gage Roads, a decision was taken to "hire for culture not skills" and to "develop training, SOPs [standard operating procedures] and capability internally to bring people up to speed quickly. "We stopped hiring experienced brewers," says Aaron, "because the right people will stay with your business and they're not bringing any bad habits. Young people value training and up-skilling as much as they value pay." It's an approach favoured by Glenn, who says, in an ideal world, he prefers to bring in young brewers free of ego and train them up. Then it becomes a case of retention, with Glenn suggesting owners can ensure brewers become more involved in the broader business, whether that's encouraging those working under a head brewer to design their own beers or engage more with the public at events and festivals. 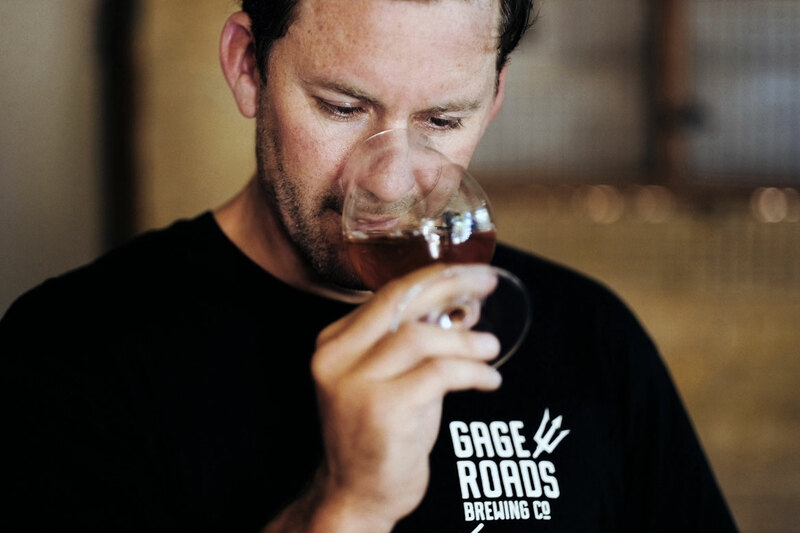 Beyond training, Gage Roads looks to give brewers opportunities outside their core roles and also offers equity in the business. As one of the largest breweries in Australia – by far the biggest producer in WA – Gage Roads has the resources to back such foresight. Many smaller businesses don't, however, but the ethos can be applied in other ways even if, in the case of a small operation that only requires a single brewer acting as an all-rounder, there may be little choice other than to pay well and offer other financial incentives to retain talent. 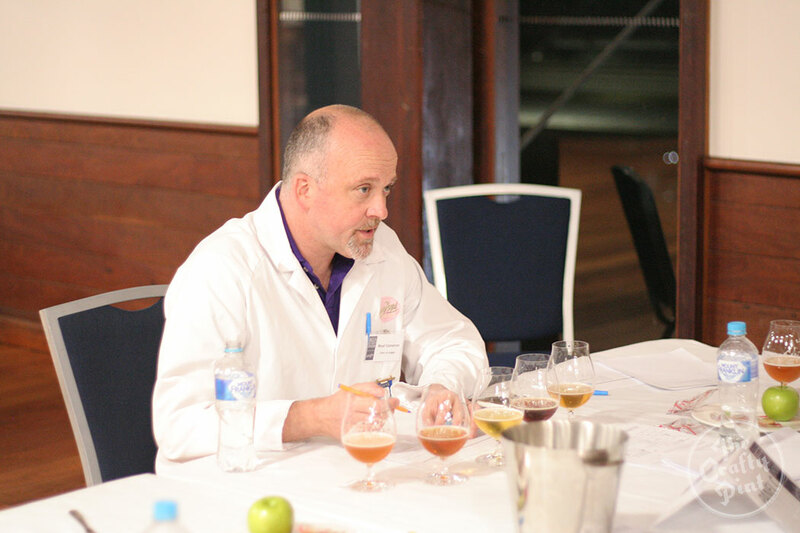 Brewer and beer judge Neal Cameron founded the Microbrewery course at Sydney TAFE that's proven a great success to date. Taking steps to improve retention is one thing but, at least for now, the matter of too few experienced brewers remains and it's not one that can be resolved overnight. It is, however, something that can be addressed through training and education – both on the job and via specialist vocational courses. She believes investing in turning such informal training into something more substantial could both improve brewer education and encourage loyalty to employers. And, while the cost is significant, she suggests support can be obtained from state government initiatives like the Workforce Training Innovation Fund. That there are people out there keen to enter the industry as brewers – and do so with education and qualification under their belts – is evident in the success of the fledgling Microbrewing course operated by Sydney TAFE. All 20 students from the heavily over-subscribed first intake in 2016 are currently employed in the industry; intake has been doubled for 2017. 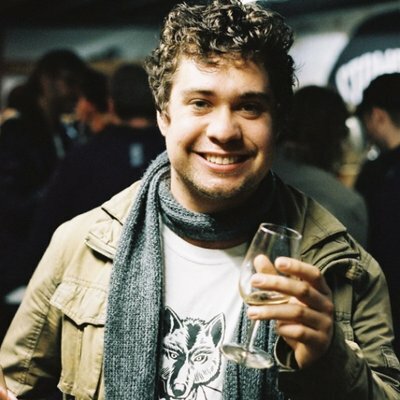 One of the course's founders, Richard Adamson of Young Henrys, says its success to date in funnelling students into jobs is in part down to its focus on how professional breweries operate. “We didn’t really want people that were just going to become better homebrewers because it wouldn’t fulfil the industry need,” he says. Those who complete the course gain a Certificate III qualification, for which practical and theoretical learning components are taught together. Richard says the practical nature of the course was essential in getting students work ready. “The aim of the course is for someone to be able to walk into a brewery and be useful and familiar with a lot of the equipment and then have the theoretical knowledge to back it up,” says Richard. As the industry continues to mature and breweries keep opening or expanding, Richard believes those skills and the quality of beer they help create is more essential than ever. “There can be brewers going pretty well in terms of making really interesting beers but then maybe not having the skills to handle the expansion and growth [of their brewery]," he says. The Sydney TAFE course isn't the only option, but it is one of few and the only one designed with the craft beer industry in mind that offers both practical and theoretical training. Federation University in Ballarat has long offered graduate courses in brewing and the Institute Of Brewing & Distilling (IBD) and The Siebel Institute offer correspondence courses, while Costanzo Brewing Consultants has been running courses across Australia for years. Often such courses can be completed by brewers already working in the industry. Aaron says he studied for his IBD qualification on evenings and weekends around his day job and believes employers should pay course costs for staff. "Breweries need to take a look at themselves if they're not willing to pay for IBD [costs]," he says. "The cost when you lose a brewer is significant; [you should do] everything you can to train and up-skill your staff." While Sydney TAFE is only entering its second year, Chris at the IBA says talks have already been held to see if it can be developed into a product that can be licensed by other TAFEs in other states. "We've had initial discussions in Victoria and they're keen," he says. "It's much easier if they have a product they can pay for where the curriculum is already created [although you] still have to find people to teach it and facilities to teach it in." Richard is also eager to see Sydney's example replicated elsewhere. According to Chris, the traditionally large brewery focused IBD is working on courses with greater relevance to small breweries too. "They recognise that their potential membership numbers are decreasing as the bigger brewers shut another location or introduce more automation," he says. Its also likely the intense competition referenced at the top of this article will likely play a role in easing the shortage. "Not all these breweries are going to survive," says Aaron, citing the recent offer of $120 kegs as a sign of the stresses within the industry. "There are businesses under pressure. "The guys that have managed to hold onto the top quality staff that are well trained will be in a better position." Above all, while there is little a brewery owner can do to avoid being blindsided by a well rewarded brewer leaving for a once in a lifetime role, he says much comes down to understanding how important staff members are to a business. "Once a brewery can empathise with that, they can put things in place to help people out," he says. 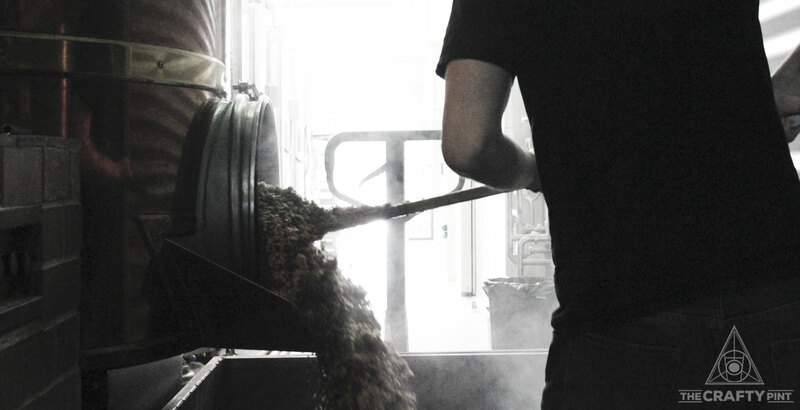 "It's a really stressful job being a head brewer of a small brewery; it's a demanding job. People need to be supported." For more on the Sydney TAFE course, email Sydneytafe.microbrewing@tafensw.edu.au.